A smartphone can sap attention even when it's not in use or turned off and in your pocket. That doesn't bode well for productivity. Silicon Valley is draining away the economy's most precious resource for its own benefit. OK, I'd better explain that. The economy's most precious resource is human attention — specifically, the attention people pay to their work. No matter what kind of company you own, run or work for, the employees of that company are paid for not only their skill, experience and work, but also for their attention and creativity. When, say, Facebook and Google grab user attention, they're taking that attention away from other things. One of those things is the work you're paying employees to do. As a thought experiment, imagine that an employee who used to pay attention to your business eight hours each day now pays attention only seven hours a day because he or she is now focusing on Facebook during that last hour. You're paying the employee the same, but getting less employee attention for it. Facebook is getting that attention - and monetizing it with additional advertising dollars. In short, Facebook CEO Mark Zuckerberg is transferring wealth from your company to his. And he's doing it every day, and constantly increasing how much he takes. Of course, it's far more complicated than that. Employees are distracted by smartphones, web browsers, messaging apps, shopping sites and lots of social networks beyond Facebook. More alarming is that the problem is growing worse, and fast. One data point from the analytics firm Flurry found that U.S. users are spending more than five hours per day using their smartphones and that the time spent using mobile apps increased 69% in a single year (from 2015 to 2016). The time spent on social networks is also growing fast. The Global Web Indexsays says people now spend more than two hours each day on social networks, on average. That extra time is facilitated by smartphones and apps. These depressed, smartphone-addicted iGen kids are now entering the workforce and represent the future of employers. That's why something has got to be done about the smartphone distraction problem. But wait! Isn't that the same kind of luddite fear-mongering that attended the arrival of TV, videogames and the Internet itself? It's not clear. What is clear is that smartphones measurably distract. A study by the University of Texas at Austin published recently in the Journal of the Association for Consumer Research found that a smartphone can sap attention even when it's not being used, even if the phone is on silent — or even when powered off and tucked away in a purse, briefcase or backpack. Tests requiring full attention were given to study participants. They were instructed to set phones to "silent." Some kept their phone near them, and others were asked to move their phone to another room. Those with the phone in another room "significantly outperformed" others on the tests. This paper reminds me of earlier research cited by MIT Professor Sherry Turkle in her 2015 book, Reclaiming Conversation: The Power of Talk in a Digital Age. I interviewed her after her book came out, and she told me that simply placing a smartphone on the table near two people talking changes the conversation into a more trivial and less engaging one. She said "the phone symbolizes that we could be interrupted at any minute" and so people naturally gravitate to frivolous topics that could be interrupted without consequence. So while a silent or even turned-off phone distracts as much as a beeping or ringing one, it also turns out that a smartphone making notification alert noises or vibrations is as distracting as actually picking it up and using it, according to a study by Florida State University. Even short notification alerts "can prompt task-irrelevant thoughts, or mind-wandering, which has been shown to damage task performance." Distracted workers are unproductive. A CareerBuilder survey found that hiring managers believe employees are extremely unproductive, and more than half of those managers believe smartphones are to blame. Even so, without smartphones, people are 26% more productive at work, according to yet another study, this one conducted by the Universities of Würzburg and Nottingham Trent and commissioned by Kaspersky Lab. Turkle told me that she expects a backlash from corporations because "not talking [in meaningful, face-to-face conversations] is not good for the bottom line. We're going to redesign our phones." 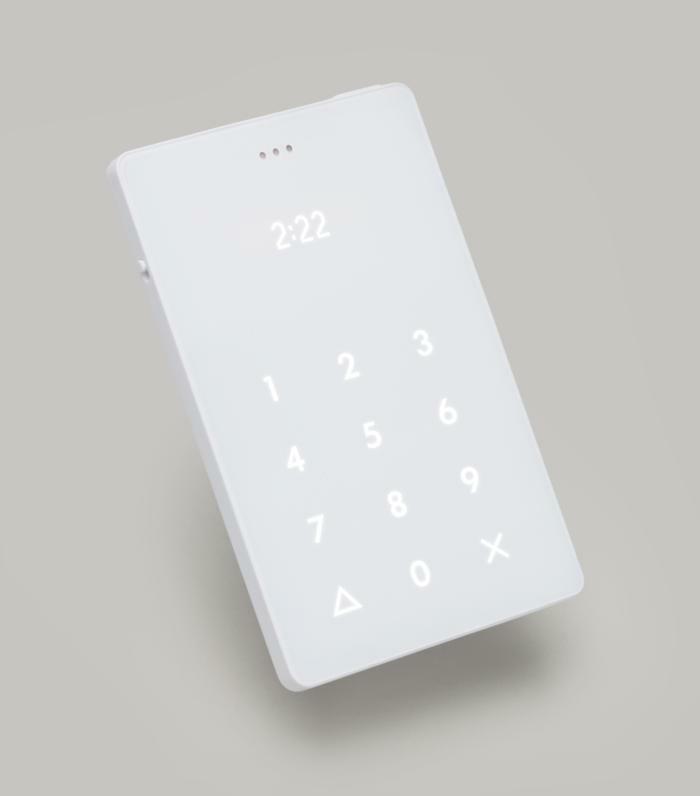 Anti-distraction phones like the Siempo are designed to curb smartphone addiction. Her prediction is already coming true. At least two new smartphones are expressly designed and built to fix the smartphone distraction problem. The $349 Siempo phone is an anti-distraction device. The Siempo lets you do photography and maps, but doesn't allow any additional apps to be downloaded. It also makes using the phone inconvenient. You have to type out your intentions each time you want to use the phone - for example, you have to write: "Check my calendar." The Siempo phone enables you to schedule all your notifications to happen together at timed intervals - say, every three hours, so they're not bugging you constantly. 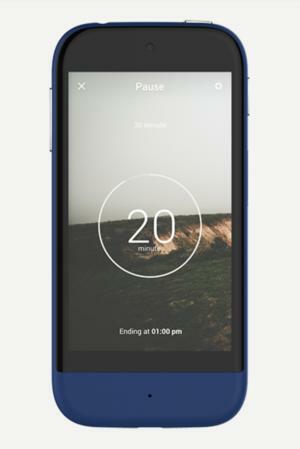 You can also hit a "pause" button on the side of the phone to stop all notifications. The extra step is designed to break the habit of mindless and constant checking. An even more radical solution is the Light Phone, which has no screen at all, and does nothing but handle calls over a 2G network. Even text messages aren't possible with the current version. It's designed to be a second phone, enabling the taking of breaks from the main smartphone without disconnecting completely. The Light Phone is an extreme anti-distraction phone. It has no screen, and can't even do text messaging. These anti-distraction phones might be great solutions for people who choose to use them. But they're no replacement for enterprise policy, even for non-BYOD environments. Issuing minimalist, anti-distraction phones would simply encourage employees to carry a second, personal phone. Besides, company apps couldn't run on them. Enterprises must add regular training about the costs of smartphone distraction. The impulse to escape into social interaction can be partially re-directed into company collaboration tools selected for their ability to engage employees. And finally, HR departments should look for a larger problem: extreme smartphone distraction could mean employees are completely disengaged from work. The reasons for that must be identified and addressed. The worst "solution" is denial.